Eight-year-old violinists and arts in Juneau schools have drawn the John F. Kennedy Center to the capital city. Representatives from the nation’s performing arts center are scoping out Juneau as a finalist for the Any Given Child program. Nearly 300 students are in the Juneau, Alaska Music Matters program that started at Glacier Valley and has also expanded to Riverbend and Auke Bay elementary schools. JAMM has recently garnered national attention. Last month, PBS filmed JAMM for a music education documentary due out in 2014. Last week, Glacier Valley second graders in colorful Tlingit regalia, picked up their pint-size violins and bow to play the “Can-Can” for two representatives from the John F. Kennedy Center for the Performing Arts in Washington, D.C, who clap and one takes photos with his cell phone. On this day, 8-year-old violinist Amira Andrews is among the two dozen violinists and six cellists performing at Glacier Valley Elementary School. “We have this thing called JAMM after school and we practice and we warm up and we practice songs and usually Ms. Heagy tells us who’s coming so we can get ready,” Amira says. 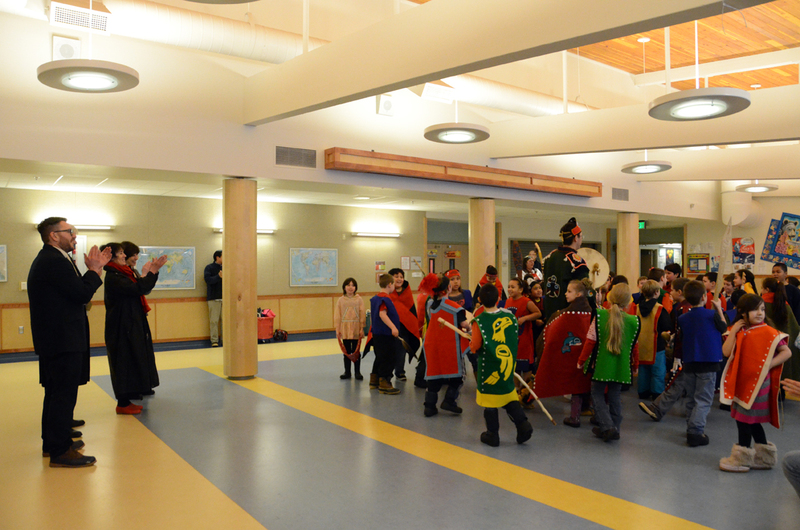 Glacier Valley Elementary began the Juneau, Alaska Music Matters program three years ago. JAMM is one reason Juneau is a finalist in the Kennedy Center’s national Any Given Child program. Former Juneau Arts and Humanities Council president Annie Calkins wrote Juneau’s application. “The Any Given Child Program was initiated by the Kennedy Center as a way to increase equity and access to arts education for students across this country in grades kindergarten through eight,” Calkins says. This is not the first time the Kennedy Center has been interested in Glacier Valley Elementary. In 2007, the school was one of five National Schools of Distinction winners. Now Juneau is looking to expand its arts education. That’s where Any Given Child comes in. Calkins says city government officials, businesses, arts organizations, artists, and the school district organized a community arts team. If Juneau wins, Calkins says the community will join ten other cities across America recognized by Any Given Child. No prize money comes with the distinction. 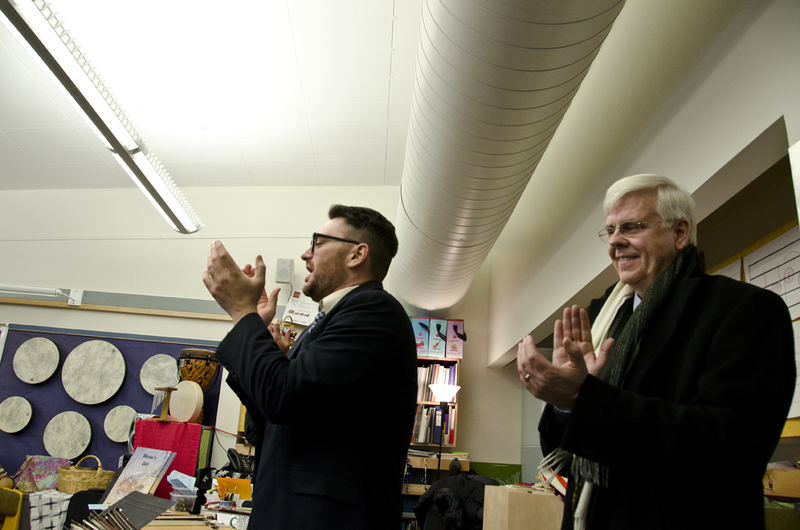 “What we get from the Kennedy Center is up to five years of technical assistance and training and engagement with figuring out ways that Juneau can increase equity and access across all of our schools,” Calkins says. While JAMM has expanded to two other elementary schools, Calkins says some Juneau schools have higher quality arts programs than others and the objective is to give more students access to these programs. Glacier Valley Elementary music teacher Lorrie Heagy started JAMM. JAMM is inspired by El Sistema, a Venezuelan model that incorporates music into schools. “What I learned from that is music is used as a vehicle, for, in Venezuela it’s for social change. Here, music is an intervention for school readiness skills,” Heagy says. Heagy says the children build their skills in confidence, teamwork, focus and memory. 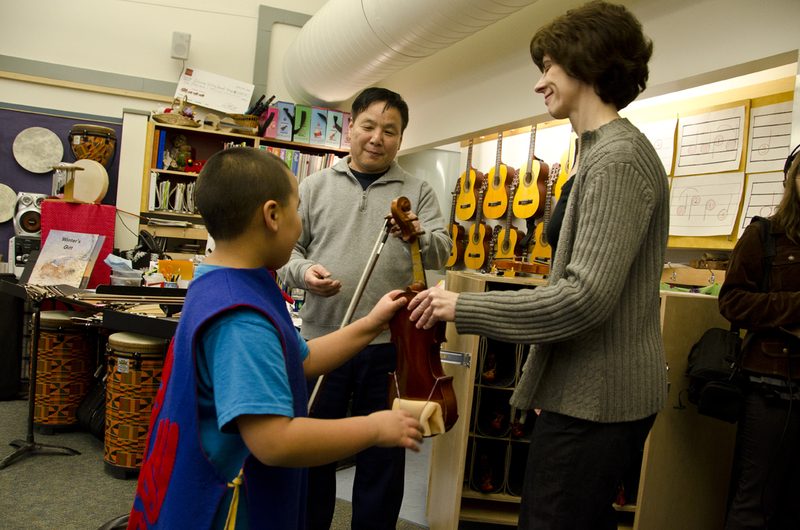 Guo Hua Xia has been a private violin instructor for two decades. Heagy asked Xia to teach students in the JAMM program. Xia says students started when they were five years old, without their parents in the room to coax them along. They learned how to navigate their first musical experience on their own. Now the students are in second grade. Eight-year-olds Garrett Strickler and Kitty Sweet are used to performing before an audience. “In JAMM we practice all of our songs just in case there’s an assembly or like a concert,” Garrett says. “I like when I play sounds and I can hear what I play. It makes beautiful sounds,” Kitty says. JAMM students this week have formed quartets and are performing seasonal songs in Glacier Valley classrooms. 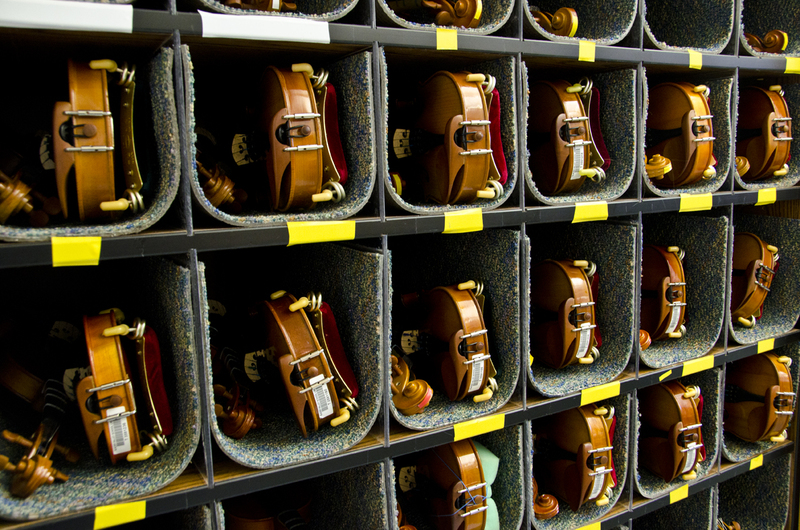 “They are just so eager to absorb what they’re learning, the pace at which they are accomplishing their musical skills on the violin is astounding,” Heagy says. The Kennedy Center is expected to announce a winning community for Any Given Child in the next couple of weeks.